Southwestern art is arguably one of the most distinctive and well-known Native American arts in the world. 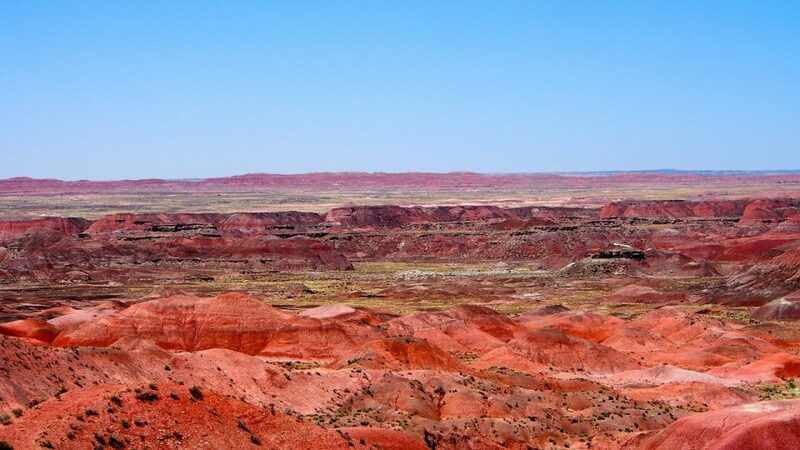 It displays influences from Pueblo, Hopi, and Navajo tribes. Each piece is instantly recognizable with its vibrant colors, bold patterns, and designs. 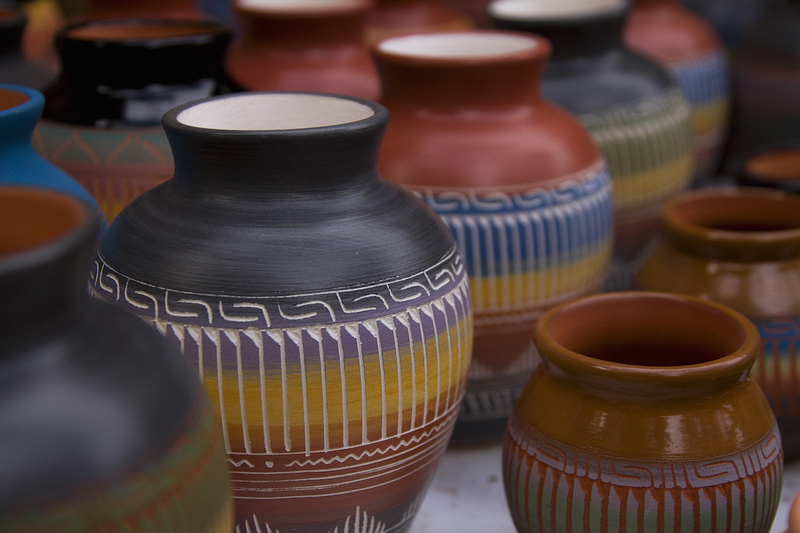 You can find everything from paintings, pottery, woven blankets, rugs, baskets, and silver-turquoise jewelry. Often, you will see a lot of paintings depicting nature, deserts, sunrises, and sunsets. Every single item is alive with emotion, character, and meaning. 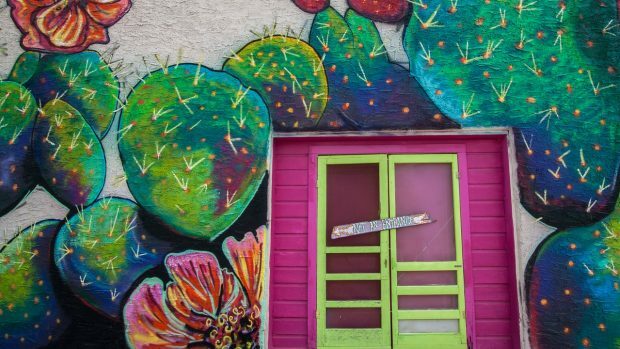 If this style of art speaks to you, you should consider a trip to Arizona sometime. Browse authentic pieces and see its influence in the state. In this post, you will find some places to start browsing. The name of this museum is spot on. It really is a gallery in the sun. What initially started as a small project in the early 1950s eventually blossomed into a 10-acre National Historic District. 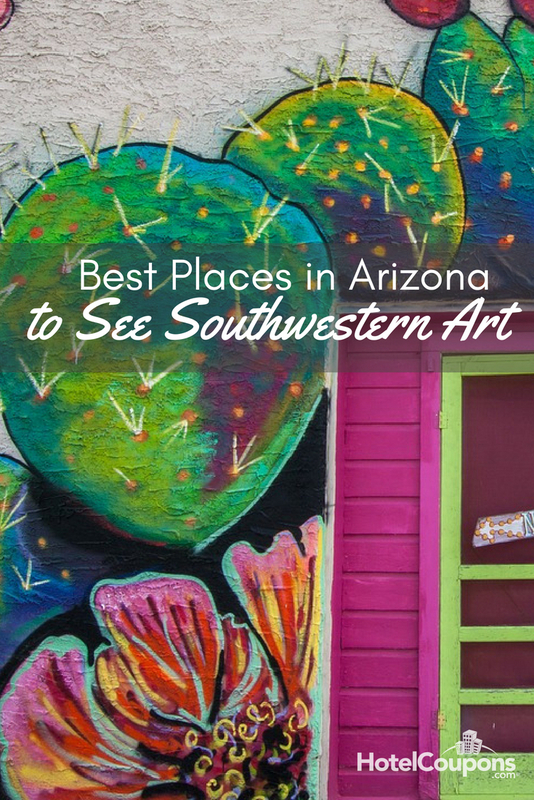 Arizona artist, Ettore “Ted” DeGrazia envisioned and designed this one of a kind art haven, where visitors are welcome to explore inside and out. There are a couple of buildings on the property; A small church, as well as murals and sculptures in the surrounding grounds outside. It doesn’t get more authentic than this stop. Observe southwestern art with a natural mountain backdrop, colorful cactus, and desert vegetation. Founded in 1924, this museum has dedicated a permanent collection which spans over 3,000 years of history and roughly 30 different cultures, including Arizona’s very own American Southwest and Native American history. Free admission is offered the first Thursday of every month from 5pm-8pm. Find out why this museum located in Old Town Scottsdale is frequently named one of the nations “Best Western Museums.” Here you can explore the art, cultural heritage and history of the American West. Featured exhibits include everything from original Hopi pottery masterworks to stories from real people in time.